﻿The Arkham born in Brussels following a meeting took place between Jean-Luc Manderlier keyboardist and drummer Daniel Denis, finding the reasons for this association in order to create original music, based on the style of the so-called "Canterbury School". In May of 1970, joins bassist Claude Berkovitch, from the Here and Now Group, where he also played Marc Hollander, later with Aksak Maboul. After just a month of evidence together, the three musicians decide to confront the audience with enrolling in a competition among groups called "Guitare d'Or", a music festival held in Ciney in Belgium. The Arkam win with a strong public acclaim, which will give strength to the group and will substantially concert activity within the confines of the Belgians. In October of the same year, Berkovitch left the band to differences over musical line to follow and was replaced by bassist Patrick Cogneaux. Denis had already played with Cogneaux in 1969 in a group called Knives and Axes. The compositions of the group are the sole prerogative of Manderlier and the group starts to appear in the broadcasts of Radio and Television Belgian gaining considerable popularity. After a few concerts with the newcomer, with other groups participating in the "Midi-Minuit" of 1971 in Liege - Belgium, where a festival will feed a variety of musical proposals under the artistic direction of the contemporary composer Henry Pousseur. Throughout the year 1971, the group took part in many important concerts, such as Bilzen and the Festival of Ciney, the "Cocoripop" in Charleroi or the "Free-show" held in Josaphat Park of Brussels. They had also the opportunity to open the first concert of the Belgian Magma, 4 September of the same year, revving very Christian Vander. At the end of September, Cogneaux leaves Arkham and then later to join Pazop and the group then invited the guitarist / bassist Paul Radoni, a former member of the Here & Now. 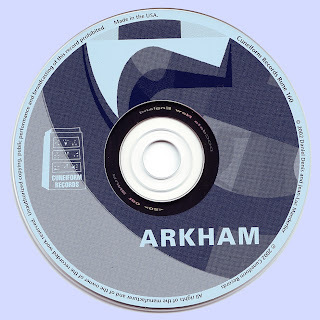 Since then, the Arkham proposed a less elaborate music, placing more elements of improvisation. This feature lasted for a few months and in a few live concerts. During the last months of 1971, joined the group on trumpet Claude Deron (co-founder of Univers Zero) and the French guitarist Francois Arnaudeau, which, however, only played in a concert. Cristiano Ramon is a bassist who occasionally participated in a concert held only in Verviers April 28, 1972. With the participation of the trumpet of Deron, Manderlier writes new songs in which to channel the inspiration typically jazz-rock bands like Nucleus. Deron only participated in two concerts, before the group is separated as a result of the invitation to join the Manderlier by Vander of Magma in March 1972. 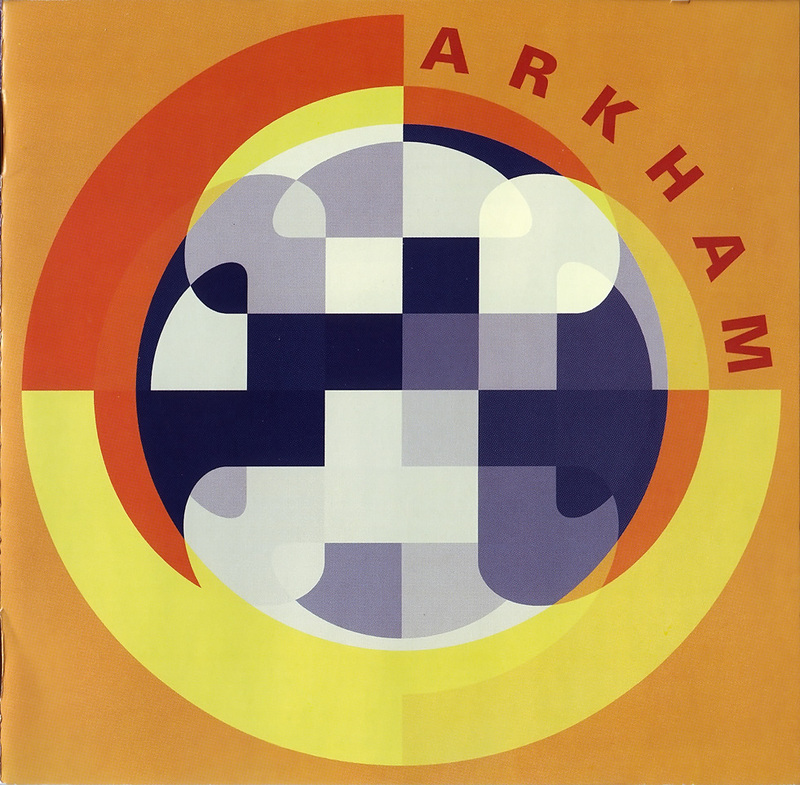 Arkham during their business unfortunately failed to record a single album, it was only in 1994 was to issue a compilation of recordings from the concerts and samples from the years 1970 to 1972. Arkham are an early 70's prog band that featured keyboard player Jean-Luc Manderlier who would later join Magma, drummer Daniel Denis who would also move on to Magma as well as Univers Zero, and drummer Patrick Cogneaux. The last two concerts of Arkham, after 2 years of life, were held in the Netherlands in May 1972, for the occasion combine Manderlier, Denis, Radoni, and Vincent Kenis, the latter later with Aksak Maboul. Manderlier remains for more than a year with the Magma taking part in the recording of "Mekanik Destructiw Kommandöh." Instead of Denis, his experience with Magma was limited to a few concerts in France and the Netherlands, before returning to Belgium to form the group with Deron Necronomicon, then evolved into Univers Zero in 1974. The Arkam did not lead to ever record market and some tapes containing live recordings of the time were transferred to digital media in 2002, edited by Denis and Manderlier, for Cuneiform Records. The recovery of previously unreleased tracks and their posthumous publication, generally results in a treat for fans who will do anything for accaparrarseli, given the inherent need to complete as much as possible, the knowledge of the preferred group. The release of this CD, instead puts a different situation, because it allows you to take direct knowledge of Arkam, between the groups of the 70s unknown to most people because it never arrived at the realization of a record. The publication of this CD may be anachronistic, especially after thirty years, were it not for the fact that this group is worthy of consideration. A trio drums / bass / keyboards with two key characters: Daniel Denis and Jean-Luc Manderlier, music clearly inspired by the "Canterbury Sound", the musical phenomenon of the undoubted charm. The audio quality is discontinuous, being recovered from the tracks recordings of various concerts for the period 1970/72, but also in consideration of the good work of recovery, listening to many songs is definitely acceptable. From the outset, we can appreciate the beautiful sound of the keyboards canterburiano, with characterizations that pass with ease from the typical peculiarities of the Caravan, the first Soft Machine but certainly with closest affinity to Egg. Elegant and nostalgic melodies, in a context that tends to mix bold scores, read dissonance, jazz, rock and contemporary music, without ever being cloying or an end in itself. They are instrumental pieces, sometimes seemingly skinny, that there is no shortage of experimental diversions, as in "Bleirot: poor visibility", to arrive at 10 minutes and passes "With assays of bias," containing a fine solo by Denis on drums, follows the more classical Eve's eventful day (part 3) with its catchy melody. The last two songs, Riff 14 and Tight trousers are distinguished not just by others, and for the invaluable contribution of Claude Deron flugelhorn, both for greater compositional maturity and executive. This work can only be aimed primarily at those who, passionate admirers and followers of the school of Canterbury, want to add another valuable piece to your music collection. Thanks a lot, Marios! Definitely Canterburyish, very interesting document, too bad they did not make a proper record.